Image courtesy of Robin Hutton (Flickr). This week’s blog post is provided by freelance writer, Gemma Lovell, and is about staying safe whilst studying in the UK. With crime rates in England and Wales at their lowest level since 1981 (Crime rates UK – The Guardian) it is clear that the United Kingdom is on the whole an extremely safe place to study and enjoy life. According to an official survey conducted in households across the country reductions in thefts in particular led to a considerable decrease in overall crime of some 7 percent during the past year. Despite these encouraging developments it is important to remember that crimes are still committed in the UK, as in other parts of the world, and every individual needs to make personal safety a priority. Here is a condensed guide to keeping safe and feeling confident in your new surroundings. In any country there are areas people feel comfortable in and those that are better avoided. Getting to know which areas are which is all part of the learning curve when arriving in a new study destination. University support services provide information (British Council: Creating Confidence) and advice on all aspects of life in the UK and this includes guidance on safety issues in their particular area. The police, who are generally regarded as friendly and approachable, are also a useful resource in terms of locational information. Some international students still need to register with the local police within seven days of arriving in the UK – this provides an ideal opportunity to ask any specific questions you may have. 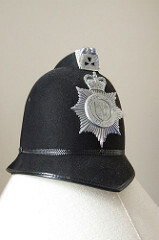 Even those who are not subject to this requirement often have the chance to meet the police at briefing sessions delivered as part of university induction programmes. When going out at night it is important to always have a plan (Student Safety – Suzy Lamplugh Trust). Decide where you intend to go and share that information so a friend is aware of your intended location. Tell them who, if anyone, you are planning to meet and what time you expect to return home. Devise a route and method of transport for the journey to and from the place you plan to visit. Ideally avoid travelling alone but if you have to then use a taxi or use public transport – walking by yourself at night is not advisable. Use a taxi company recommended by the students’ union and always pre-book. Public transport is very safe but at night its use is limited so always sit near the driver (if on a bus) and in a carriage with other people (if on the train). Try not to wait at bus stops or train platforms alone. Most students carry a personal alarm and this is to be encouraged. Nowadays a mobile phone is a standard piece of kit for the majority of the population but make sure it is charged and in credit. If you do not live in a student hall of residence, it is likely that you will be renting a house or flat. Crime prevention is an important part of protecting yourself and your belongings, wherever you live. Remember to close windows and lock your door if you go out and never leave spare keys in an outside location as burglars are likely to find them. Keep your own keys in your pocket – this means that in the unlikely event your bag is stolen you still have your keys. Mark belongings using an ultraviolet pen with your name and student ID number as well as the college or university name – this will help reconnect you with property should it be taken. For high value items such as jewellery and passports consider installing a small personal safe. Taking out adequate contents insurance either before you travel to the UK or with a suitable insurance provider (see e.g. Quotezone) is also important and yet is often overlooked by the student population. Students in rented accommodation sometimes think that they are covered by their landlords insurance but this is not the case. Each student needs to make their own arrangements in order to protect their property. If you do find yourself in the unfortunate position of being a victim of crime then the first step is to report the crime. In an emergency where someone is at risk of getting injured or a crime is in the process of being committed, call 999. If the crime is of a less serious nature, for example, vehicle theft or property damage then 101 is the number to call. For more information, see Police emergency numbers. Store these numbers in your phone and use them appropriately. If you are the victim of crime and are unable to communicate with the police and other emergency services they will need to contact a family member or friend. Although they may be able to use your mobile phone for this purpose it can be difficult for them to know who to call. A useful tip is to decide who you would ideally like to be contacted and store their number in your phone under the name – ICE – which stands for ‘in case of emergency.’ This can save time and confusion in emergency situations. Studying in the UK is exciting and rewarding – taking these sensible security measures ensures it is safe as well.